You know you are in trouble when financial investors are the ones asking for independent safety reviews, but that’s exactly what is happening when it comes to BPA and the FDA. It appears investors do have aconscious beyond making profits, and they are concerned about our health. Financial companies have children too, right? Washington, DC – A coalition of investors and other groups representing over $26 billion in assets yesterday sent a letter to Margaret Hamburg, Commissioner of the Food and Drug Agency (FDA), applauding her recent decision to reassess the safety of bisphenol A (BPA), a controversial chemical used in can linings and hard plastics. “As investors, we’re concerned that the use of BPA, particularly in food and beverage packaging, may threaten shareholder value. 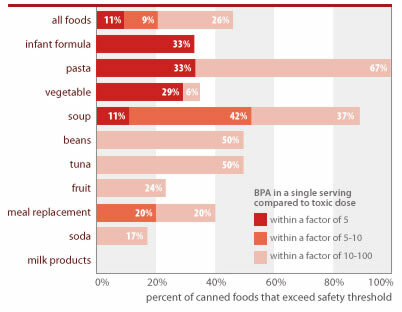 Companies may face reputational, competitive, or market exclusion risks from using BPA. We are thrilled that the FDA is reconsidering its assessment,” stated Emily Stone of Green Century Capital Management (“Green Century”), the investment advisory firm that organized the letter. Notes released from a recent “Joint BPA Trade Association” meeting demonstrate industry’s desire to continue playing a role in preventing BPA regulation. According to the notes, participants discussed strategy to “protect industries that use BPA [and] prolong the life of BPA,” including the use of fear tactics and identifying a “holy grail” spokesperson–a pregnant woman—to defend BPA.